How is publishing success measured? The obvious answer is—book sales! To accomplish this goal, you need the solid support of three important components: a book people want to read; professional production quality; and smart promotion. This is true whether you self-publish or go the traditional route. This seems obvious, but you need more than just a good idea to write a book people want to read. Create a plot that appeals to a wide readership and/or addresses a timely theme. Craft dynamic characters readers are interested in even if they don’t like them. Write strong dialogue that moves the plot forward, supported by narrative that reveals underlying tensions and motivations. And after you’ve done the hard work of writing a readable book, be sure to give it all possible advantages, including expert editing and proofreading. Typos, sentence structure errors, inconsistent tenses, continuity mistakes, and misused words can detract from your book and result in bad word-of-mouth among readers and reviewers. So whether you choose your scholarly next-door neighbor or the expert Writer’s Relief proofreaders, be sure to make a great impression on your audience with a clean and error-free book. Proper formatting is vital. You don’t want the word on the street to be about your book’s sloppy formatting and illegible type! Format the interior of your book to industry standards and choose legible fonts that look good in both digital and print formats. Wrap it all up in an eye-catching and professionally designed cover that complements the mood and content of your book. One of the benefits of self-publishing is that the cover design decisions are entirely in your hands—make sure that your book’s cover fits the genre and draws shoppers’ attention with provocative imagery on the front and an intriguing book summary on the back. You may think your work’s done once you’ve written and produced your book, but think again! The element of self-publishing that is vital to your book’s success is still ahead: marketing. But most authors don’t have any prior marketing experience—and don’t know how to get started. The key to effectively promoting your book is to build anticipation before your book is published! Get your author website up and running; post widely, regularly, and effectively on a variety of social media platforms—and cross-promote to maximize your efforts! After your book is published, keep the momentum going by throwing virtual and real-time launch parties, hosting giveaways of free copies, doing book signings, sending out a press release—whatever it takes to keep your book in front of potential buyers. If all of this makes self-publishing seem like more work than it’s worth, remember that in today’s publishing environment, even traditionally published authors have to work very hard to give their books a fighting chance in a saturated market. Build on a strong foundation of honed writing skills and savvy marketing—and keep at it. Who knows? Your book might be the next self-publishing success story! QUESTION: What other elements are involved in self-publishing success? 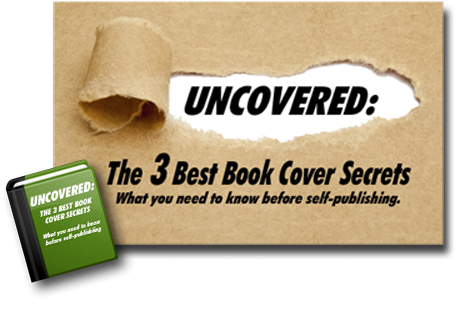 ← Do Self-Published Authors Need Websites?